When you need HVAC services in Minnesota, you need a reliable and professional heating and cooling service provider like Metro. Metro Heating & Cooling provides trusted, expert HVAC service and installations, and our team has over 400 years of combined experience in the heating and air conditioning industry. 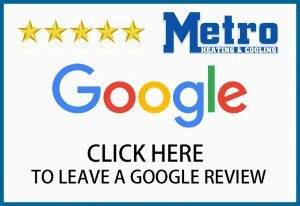 Through our extensive experience and commitment to our customers, we have built an enviable reputation for excellence as a full-service heating and air conditioning company in Minnesota. Our HVAC staff is a solid reflection of our professionalism. We have a team of 10 HVAC service technicians who are fully trained, highly skilled, and manufacturer certified in all aspects of heating and air conditioning installation and repair. All of our HVAC services are designed to give you complete satisfaction, and when you see the Metro Heating & Cooling truck pull up with an employee sporting our uniform, you know you are in good hands. Full-Service HVAC – Serving The Entire Twin Cities Metro 7 Days A Week! We service all makes, models, and brands of heating and air conditioning products. Our experienced technicians have access to thousands of repair and replacement parts, enabling us to provide superior furnace repair and ac repair services in Minnesota, while giving you the excellent customer service and satisfaction you deserve. We also provide high-quality indoor air quality products, and water heaters. We Service The Entire Metro Area & Are Available 24/7! Call us Today at (651) 294-7798 or Request An Appointment Online.